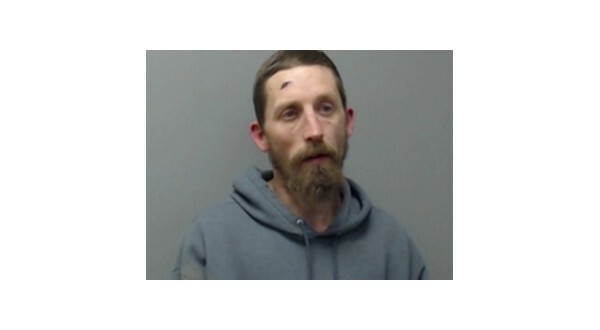 A Mountain Home man has been arrested after he fled on foot following a traffic stop initiated by a Cotter Police sergeant. Thirty-five-year-old James Lally reportedly fled through a group of storage units, refusing to comply as the officer drew his weapon. A subsequent search of the vehicle Lally had been a passenger in revealed an AR-15 with 20 rounds in the magazine. According to the probable cause affidavit, the officer was on patrol off U.S. Highway 62/412 at the car wash just after midnight on Feb. 23rd when he observed a sedan with no working registration lights traveling toward Gassville. After initiating the traffic stop at nearby storage units, a passenger, later identified as Lally, exited the vehicle and ran through the units. After losing sight of Lally, the officer drew his weapon and gave several commands to stop running. Lally fell to the ground, got back on his feet and refused to comply with the order to stay on the ground. He fell again, and the officer switched to his Taser and ordered Lally to stay where he was. When the driver of the vehicle, identified as Bonnie Peterson, was asked for her identification, it was determined her driver's license was suspended, and she had no proof of insurance. A further search of the vehicle revealed an AR-15 with 20 rounds in the magazine. Lally is a convicted felon and not allowed to have firearms. The officer contacted the vehicle's owner by phone, and she advised the firearm was not in the vehicle when she was in it a short time beforehand, and she doesn't own a firearm. Lally has been charged with a felony count of possession of a firearm by certain persons and misdemeanor counts of contempt of court, non-payment of fines and fleeing. He is also charged with a parole violation and has a hold on him from other law enforcement agencies. His bond is set at $1,780. Peterson was booked on counts of driving on a suspended license, no proof of insurance and defective tail lights.